The Rebel Sweetheart. : Pucker Up! 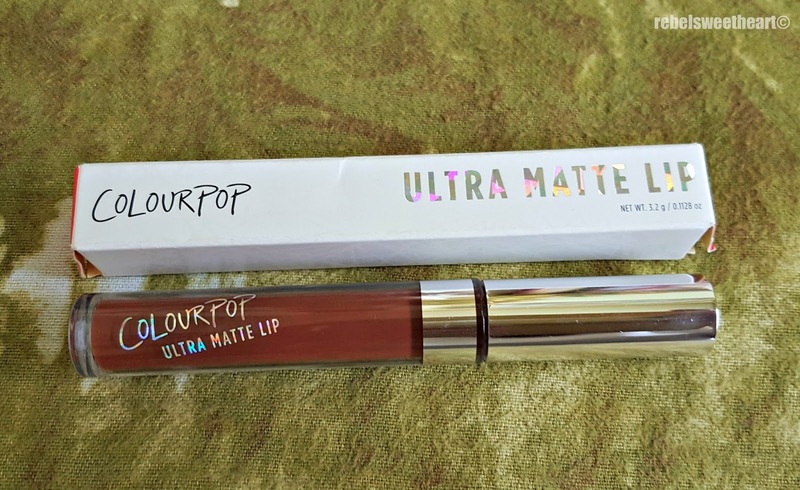 | ColourPop Ultra Matte Lip in Limbo. The other day, my friend asked me if I can pull off brown lipstick. "A really dark brown lipstick" - to quote her verbatim. 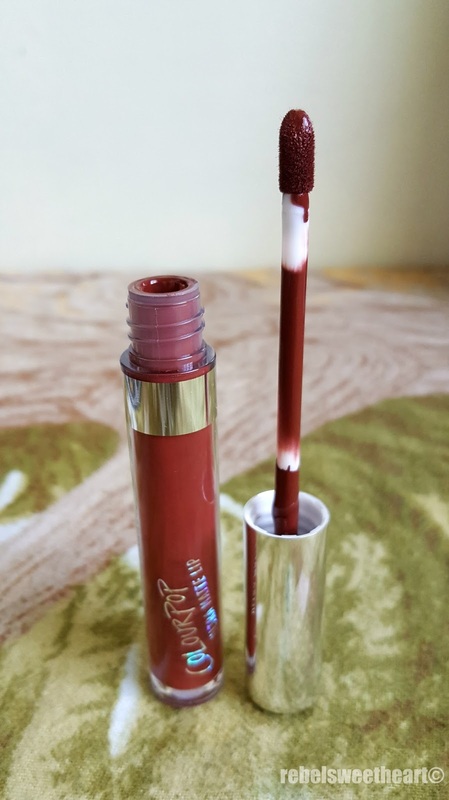 I said yes, considering that from time to time I wear my Gap Lip Gloss which is a deep shade of burgundy brown. And just like that, she whipped this baby out of her purse and gave it to me as a gift. Anyway, this is the much-raved about Ultra Matte Lip from ColourPop, a hip and trendy LA-based cosmetics company. There are 43 different colors to choose from in the Ultra Matte Lip line, with shades ranging from nudes, darks, reds, pinks, and even blues and greens. This one is Limbo, which according to the ColourPop website is a 'deep chocolate brown'. And on the bottom of the tube. It comes in a simple yet elegant transparent plastic tube, with the usual doe-foot applicator. Looking at the bottle, Limbo doesn't seem too dark of a shade, but when I took out the wand, I was a bit intimidated at how dark it actually is. It's a very deep shade of brown with warm reddish undertones. At the back of my mind I was thinking, "I don't think I can pull this shade off. It might be too dark for me!" 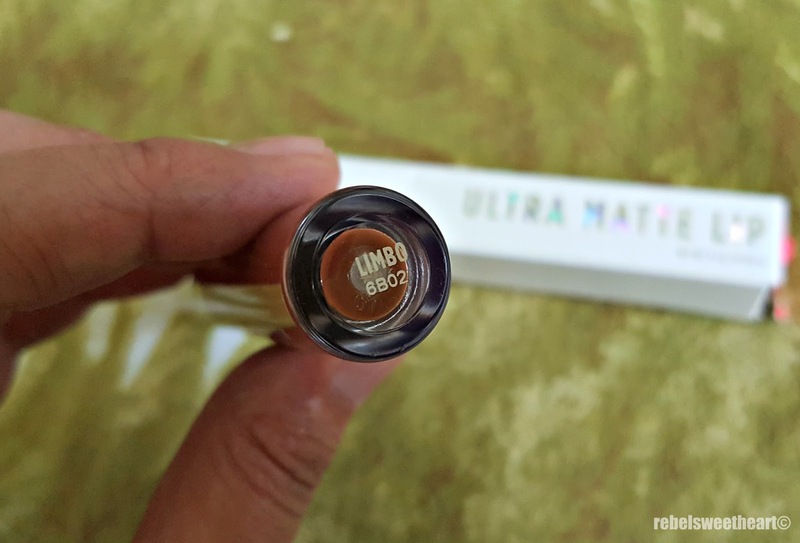 It's highly pigmented, as you can see, with an opaque texture and a super flat matte finish. A few seconds after swiping. One swipe on the left, two swipes on the right. 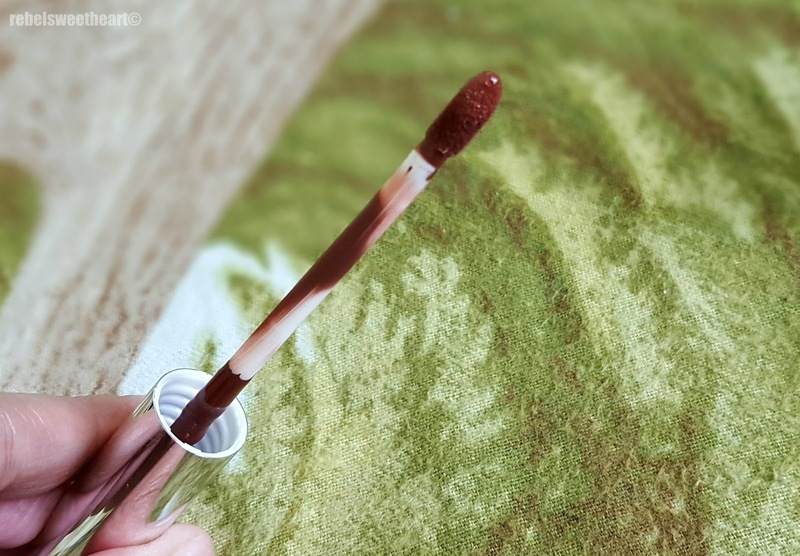 It dries down within seconds, making it a bit tricky to apply. So instead of swiping it once across my lips, I have learned to apply it in sections instead (top left, top right, center bottom, bottom left, bottom right). That way, I can easily even out the color and I get better coverage at the same time. It dries pretty fast to a super flat matte finish. 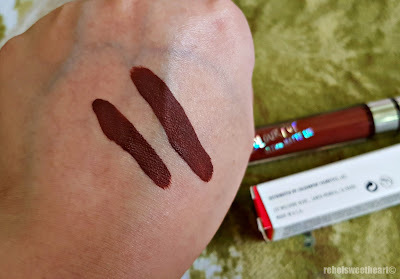 I love this shade's kiss-proof formula, because I can wear them for five to six hours straight with very minimal fading. 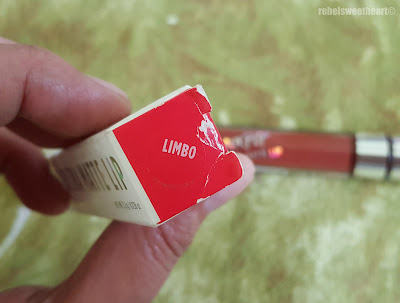 On the downside, this shade feels a bit drying the longer you wear it, so make sure to apply a small amount of lip balm before swiping Limbo on your lips. 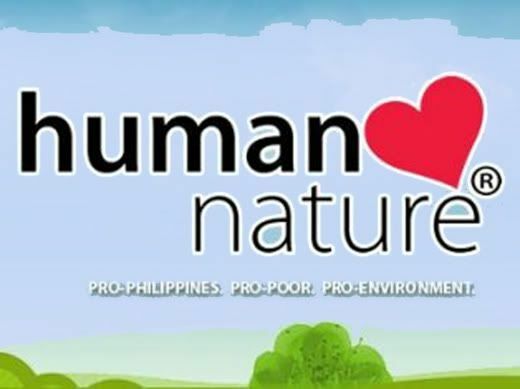 while online stores in the Philippines sell them from Php 400 up). - Can be pretty drying the longer you wear it. CHEEKS; Ever Bilena Cheek Blush in Rasin. 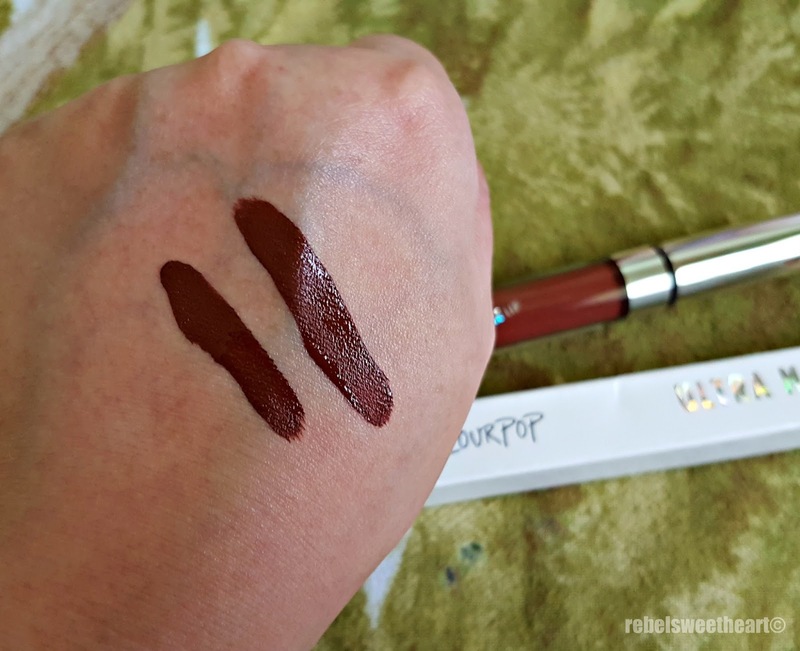 LIPS: ColourPop Ultra Matte Lip in Limbo. Love the colour on you although it would be too dark for my already dark lips. I love Shiny lipsticks. I have never tried Matte but hey there is always a first time and for then price £3 thats a bargain! I love dark lipstick but I'm more into the dark red shades than the brown ones. 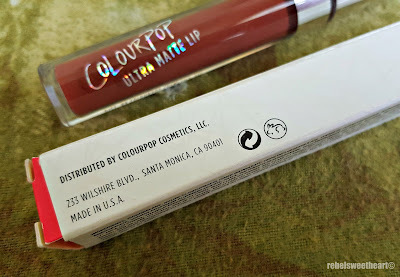 I've always wanted to try this brand, it's similar to Lime Crime Velvetines! Wow you are so beautiful ate. Super Ganda mo po Dyan ~_^. Bagay na bagay po ang look mo Dyan. Anyways, how sweet and kind naman po ng friend mo po at binigyan ka po no lipstick. I love the color po and the product po is looks so good too. 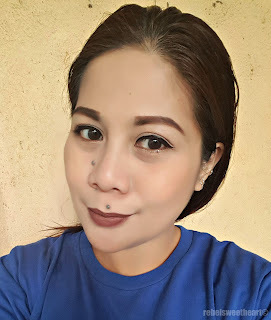 Hindi na po aq nagtataka Kung bakit gustong gusto ng mga girls ang lipstick na yan. Thanks for sharing po and also for the honest review po. I wish makakakita ako into online I'm thinking to buy one, hehehe. Oh that looks a great product! You are so pretty like me lol Thanks for sharing! I've heard a lot about this lip cream, yours looks really good I'd like to try it .